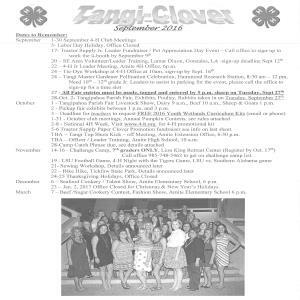 The Tangipahoa Parish 4-H Clover newsletters include information about current events and upcoming activities for 4-H'ers and their parents. 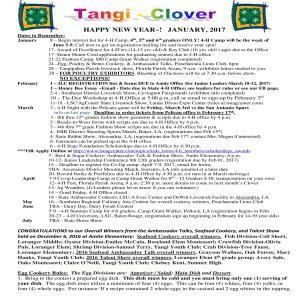 Click on the links below for the monthly newsletters. 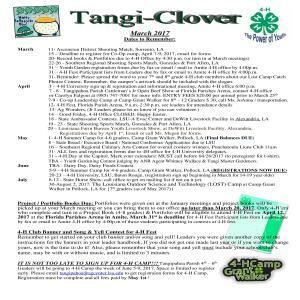 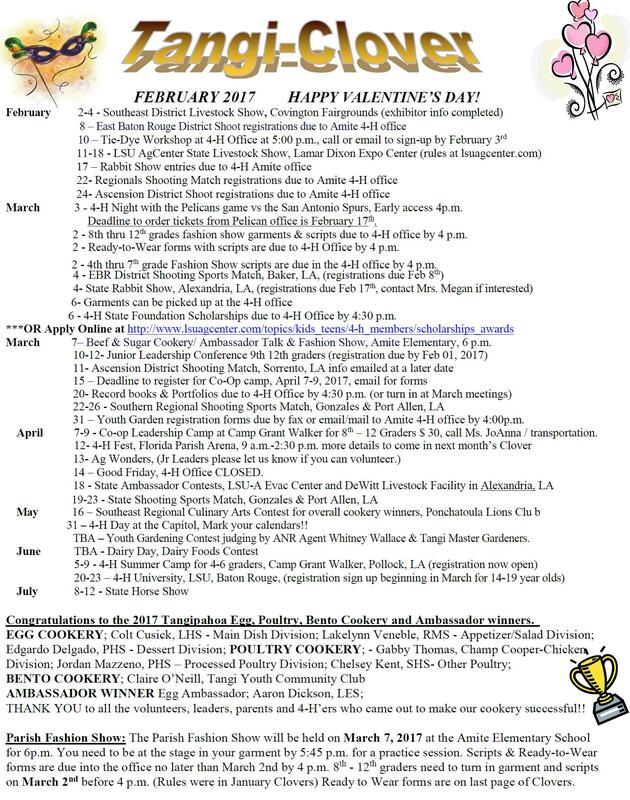 If you are unable to download any of the newsletters, please contact the Tangipahoa Parish 4-H office at 985-748-9381. 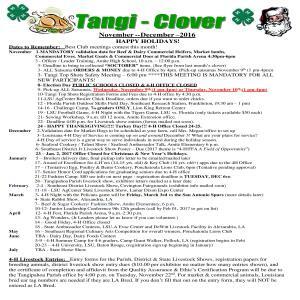 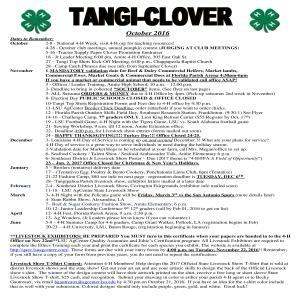 Note: There is not a December Tangi-Clover since we don't have 4-H meetings during December.